THE FASTEST AND MOST EFFECTIVE REIGN WE HAVE CREATED. 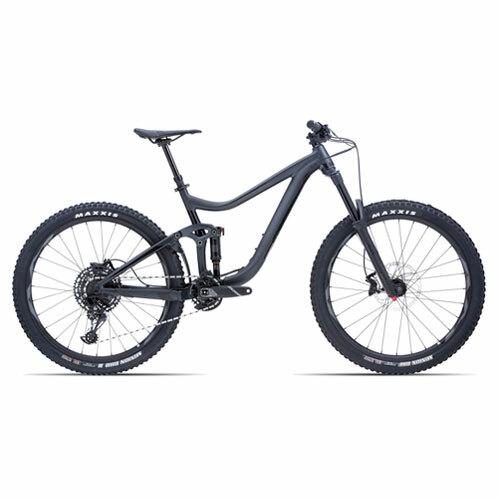 THIS MODERN ENDURO HAS A FRAME DESIGNED TO GO FAST ON THE MOST COMMITTED TERRAIN. DEVELOPED, TESTED AND APPROVED BY THE GIANT FACTORY OFFROAD TEAM DRIVERS, OUR NEW REIGN IS JUST WAITING TO BE USED. Modernized thanks to feedback from Giant Factory OffRoad Team riders, the Reign is getting longer to offer more stability and high-speed performance. Its Aluxx SL composite frame adopts the latest generation of Maestro suspension with 160mm rear travel (170mm front) via a forged composite link and a Trunnion type shock absorber. The new Reign is made to go fast and give you confidence and control over the most technical terrain.